People generally believe they can take just about anything thrown their way. Even though there is nothing wrong in being optimistic, said people tend to ignore certain telltale signs of burnout. Burnout is referred to by the American Psychological Association as a period of time when an individual is severely exhausted, due to which he/she loses interest in things. This in turn negatively affects their job performance. If left unchecked, burnout can do considerable damage to your health, relationships, job performance and happiness. Now, if you want to prevent burnout from taking its toll on you, it is imperative you know what signs to look out for. Here are the top 7 warning signs of burnout. Out of all the telltale signs, this one is the clearest of them all. Basically, you will feel exhausted all the time. This can be in any form, mental, physical or emotional exhaustion. A person suffering from burnout will feel as though they have no energy whatsoever. You will be tired despite not having done anything worthwhile. Due to burnout, you may feel as though you are not important. You will feel as though no matter what you do, it will not make any difference to the surrounding people. If not this, you may be disillusioned with everything. Eventually, there will come a time when you will be cynical and pessimistic, even more so than before. Agreed, people do have negative emotions now and then, but if you are burnt out, said emotions will overwhelm you in no time. An individual will lack the enthusiasm required to perform well at work, or even do something worthwhile at home or otherwise. It can manifest in a number of ways. Like for instance, you might find it incredibly difficult to get up for work every day. This becomes even more of a problem if you do not take the necessary precautions to deal with burnout once and for all. People suffering from burnout pay no heed to the warning signs, hence do more harm than good in the long run. Ignorance may be bliss, but that does not work when you are not at peace psychologically. If you are still not sure whether you are burnt out or not, compare your job performance from that of previous years. 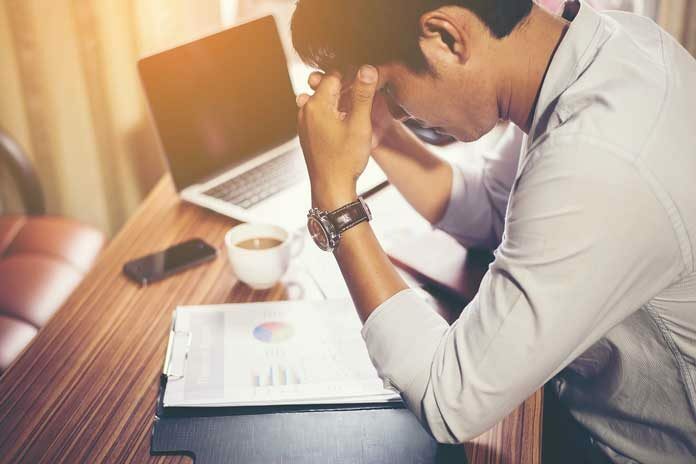 It is important to note that burnout takes time to happen, so by taking this long-term effect in mind, one can identify whether they are in a temporary slump or are dealing with chronic burnout instead. Chronics stress and burnout will interfere with your ability to concentrate and pay attention. When stressed, the human mind will focus on negative elements that are perceived as threats. In the short term, this does allow you to deal with problems quickly, but then your body should return to normal, which is not the case with people suffering from chronic stress. What happens is they continue to focus on negative elements for longer durations, without getting a break. This makes it difficult for them to prioritize other things in their life. This focus on negative elements will eventually affect your ability to make informed decisions and solve problems. Eventually, you will find it difficult to remember things and will be even more forgetful. When it comes to dealing with burnout, people develop coping mechanisms, which are not necessarily healthy. They may start smoking, drinking, eating too much, eating too little or developing insomnia even. If that is not enough, such an individual may try to self-medicate and could end up relying on sleeping pills to get some shut-eye, coffee for energy boosts when they need it the most and drinking at night to de-stress. Even though you may not be at work, you may be thinking a lot about it. In fact, you may be spending mental energy worrying about your job. Being preoccupied with work is actually preventing you from recovering from all the stresses you accumulate throughout the day. The only way you can recover is if you give yourself the time to take a break, which in this case is to stop thinking about work altogether since you are not actually doing any work related task at all. The list can go on and on, but what is really important is that you do what is required to prevent burnout from taking hold of you. The last thing you want is to develop incurable health problems, which is why you will need to go out of your way to relax. Enough emphasis cannot be placed on the fact that you need to take relaxation seriously. If you are not sure about how to de-stress, you can start by meditating regularly. But then again, there are other ways as well such as listening to music, exercising, visiting friends and family, and taking a walk. Apart from unplugging from at home, to ensure you are not stressed about work, you need to give sleep enough importance. In most cases, people having less than six hours of sleep tend to feel less energetic and having difficulties being productive at work. In fact, it could be another reason why you feel burnt out. However, do not force yourself to sleep, as you will lie in bed finding it difficult to doze off. The trick is you actually tire yourself out throughout the day so that when you are finally home; you do not have the energy in you to stay up late. There are numerous ways you can go about curing burn out, so you are not on your own. But what is really important is that you do what is needed to heal. Take a vacation, as it will definitely do wonders for you in the long run. If stress gets overwhelming, use the best telehealth software to contact a mental health counselor. The good news is that most telemedicine apps and software are now HIPAA compliant. This means you can get answers to all your health queries without the risk of data breaches.